Our staff was taken to the Edge this weekend with a pre-season team building event! We kicked Friday off with an inspiring circle at Points North to orient ourselves to the directions of the Edge: Dreamtime, Adventure, Nature, Tribal Community and Creativity. The energy in the room was fresh and exciting as we dreamed up creative ideas to bring magic to each experience we facilitate this summer. Then, we turned our attention inward and discovered seeds within ourselves that we are wanting to plant this season at the Edge. As a symbol, we planted seeds in a small pot, to tend and grow. Myself, I was excited about the invitation to share my gifts in each program element that I facilitate. What could be better than to bring myself 100% to each Edge experience? We set off on Saturday for an overnight canoe trip on North Tea Lake. We were blessed with gorgeous sun, calm waters and a starry night sky! Our blessings also included delicious food. Staff agreed that it wouldn’t be hard to get used to enjoying Alo Gobi stew, organic foods and real maple syrup! With happy bellies, we learned much from our wilderness survival experts Chris Gilmour, Chris Mortimer and Alexis. Throughout the weekend they invited us to widen our vision and learn to see nature through the owl’s eyes, to walk lightly and consciously like the fox and to slow our heart beats to the rythm of Algonquin. Some of the highlights included identifying tracks on the beach, harvesting sweet gale and hemlock for nighttime tea and greeting a Mom and her two baby moose on Sunday morning. 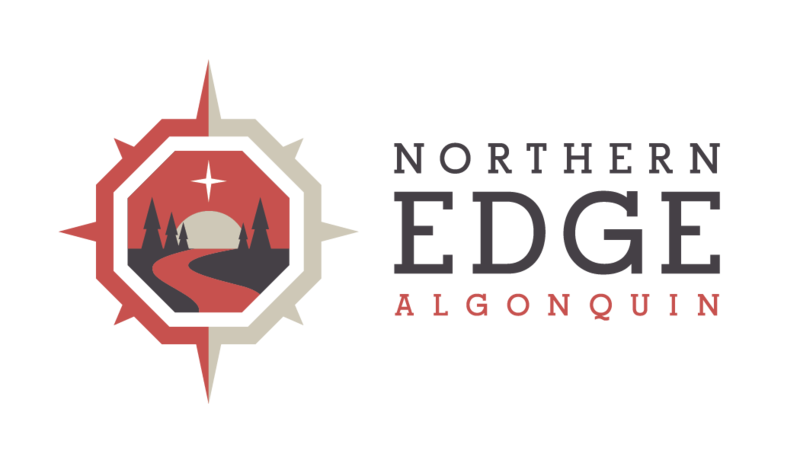 What a great way to greet the summer season at the Edge!